This is a Knife. 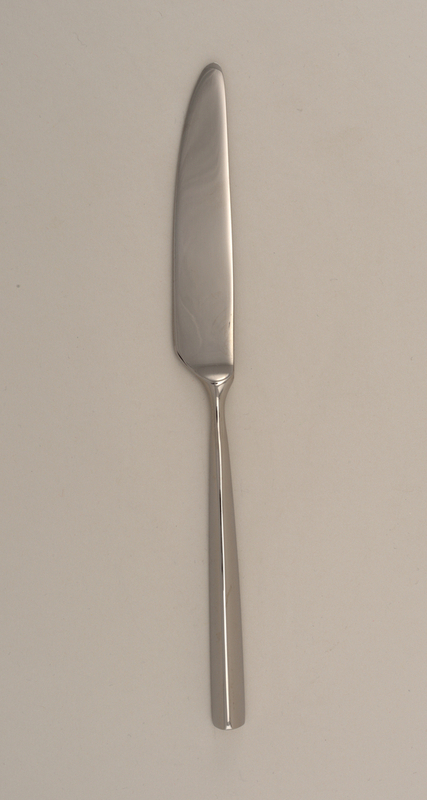 It was designed by Ward Bennett and manufactured by Towle Manufacturing Company, Silversmiths and distributed by Supreme Cutlery. It is dated 1980 and we acquired it in 1986. Its medium is steel, stainless. It is a part of the Product Design and Decorative Arts department. It is credited Gift of Ward Bennett. On blade: "Supreme Cutlery; JAPAN"; signature : "Ward Bennett Designs"